I had my screen replaced on my iPhone 5s back in August. Gradually the Touch ID stopped working. It worked no problem when I got the phone back and was fine for a few weeks but gradually got worse and now is not working at all. I tried a reset, hard reset and restore to no avail. I have cleaned it with isopropyl alcohol and screen cleaners etc etc, nothing worked. I have since got an iPhone 6 so no longer use the phone, however I would like to sell the phone and would like the Touch ID to be operational. I've opened up the phone to check for a loose cable, nothing, everything seems fine, I haven't removed the home button as I don't have the confidence for this yet. The 6 registers my fingerprint no problem but the 5s doesn't register my own or my girlfriends finger. When I ask it to set up a new fingerprint it just doesn't even register that there is a finger on the home button. Any advice anyone? Thanks in advance. Hold on a second. Does it say Touch ID failed, in settings? When I try to add a fingerprint you mean? It doesn't say failed or anything, it's just waiting for me to put my finger on the home button. Unlock the phone, let the screen dim, but not off, touch the home button and see if the screen lights back up. If it doesn't, mostly the stainless steel ring booster or detector circuit is fried. 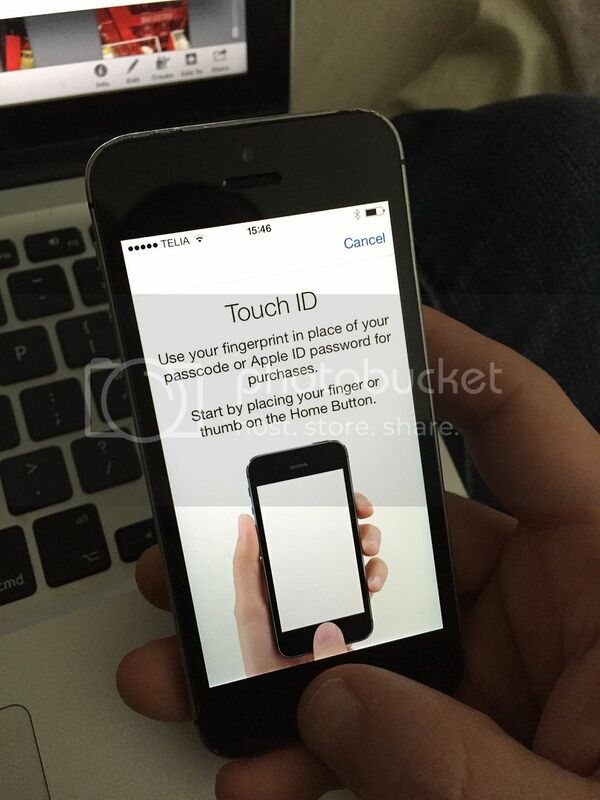 If it lights up, the Touch ID sensor itself is likely broken. As I checked again, this only works for iPhone 6 and onwards. Thanks for the tip! Yeah, it doesn't light up at all, no fix for this I'm guessing? If the booster malfunction is on the logic board, it is possible to perform component level repair, otherwise only Apple can repair this. Sorry I checked again, iPhone 5s doesn't do metal ring detection, you have to check somewhere else. No worries, thanks for your help anyway. Is the Touch ID still recognizing that you are trying to use your fingerprint and giving you the "try again" message, or is it not responding at all?